This totally cute bandeau crop top is perfect for dressing up or down. 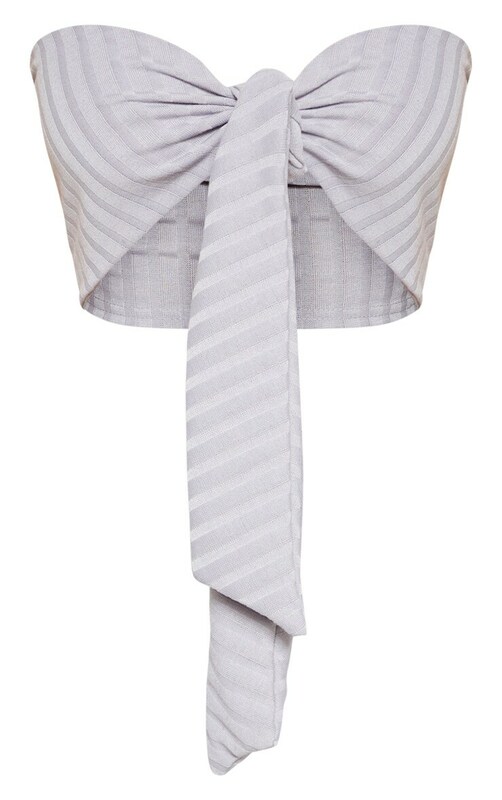 Featuring a grey ribbed material with a bandeau neckline and a tie front. Team this with the matching bottoms and barely-there heels to complete the look.